The Mountaingate 2 Course at Mountain Gate Country Club is a 9-hole regulation length golf course in Los Angeles, California. This medium-length layout provides for a fun golf experience for golfers of all skill levels. Difficulty level of the course is unknown at this time, but will be provided soon. There is another course at this same golf club, the Mountaingate 1 Course. 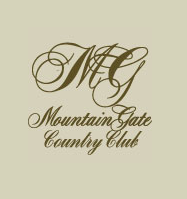 Online tee times may be available at Mountain Gate Country Club or at nearby golf courses, often at a substantial discount from the going green fees rate. Even though our data is typically right, in some cases there will be errors. If you find any mistakes, please inform us here. Beneath this text, aerial imagery should load of Mountain Gate Country Club at 12445 Mountain Gate Dr, Los Angeles, CA 90049. If you can't find the course, try panning around and looking at the surrounding area.